Mid-afternoon it hit me, OMG I haven’t planted any seeds for summer crops! I’d like to blame it on any manner of distractions, including re-planting the front garden (going pretty well), but I’ve clearly been drifting along these past few weeks. Luckily we have boxes, I do mean it, of seeds so I pulled out some trays and pots and got stuck in. Peas and beans are at the top of the list. Purple Podded Peas, Snow Peas and Lazy Housewife Beansand some White Eggplants. All of theses seeds have come from our own plants so they are well adapted to our garden. I also planted some Sweetcorn Honey Bicolour that was such a success last year but #### I just checked and confirmed my suspicion that this variety is a hybrid so the seeds will either be sterile or revert to one of the parent stock. So I’ll have to get out some other corns seeds instead. 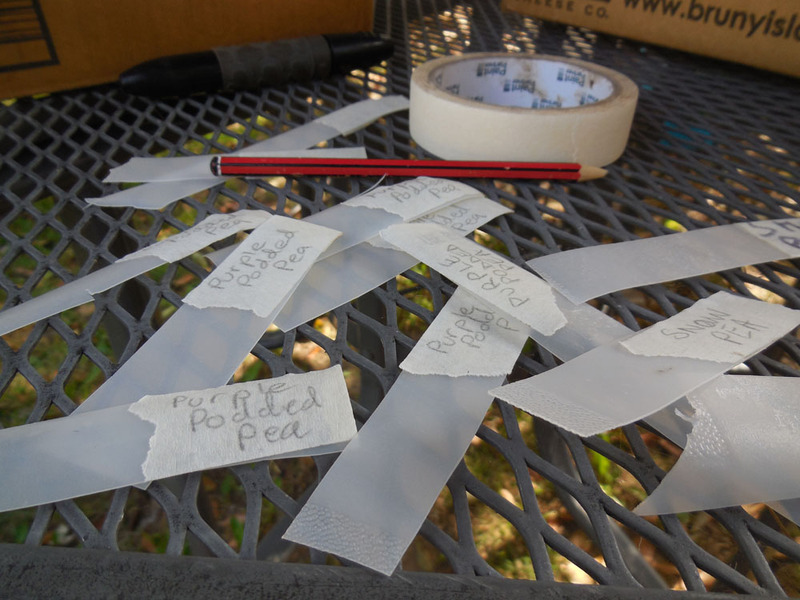 I made labels for the pots from an old milk container, but couldn’t get my pencil or marker to stay put. I ended up covering the end with masking tape and writing on that. As I worked I settled in to the rhythym of the afternoon, not too hot and a pleasant breeze. I could see House Sparrows moving around the old kale plants, a sure sign that the plants are failing and as they do so attracting insects to their decaying leaves. 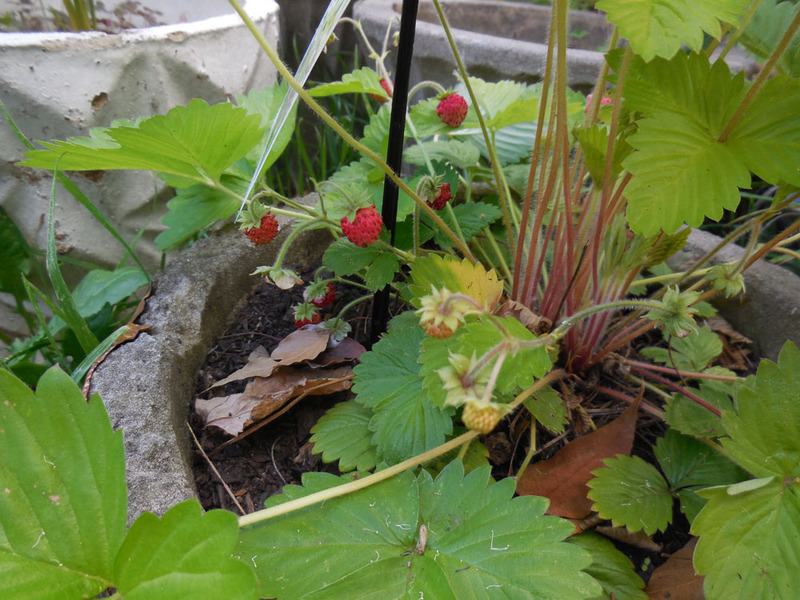 I also noticed that my Alpine Strawberry already had some fruit – which disappeared shortly after this photo was taken! I checked out the regular strawberries and found my first ripe fruit of the season there as well. 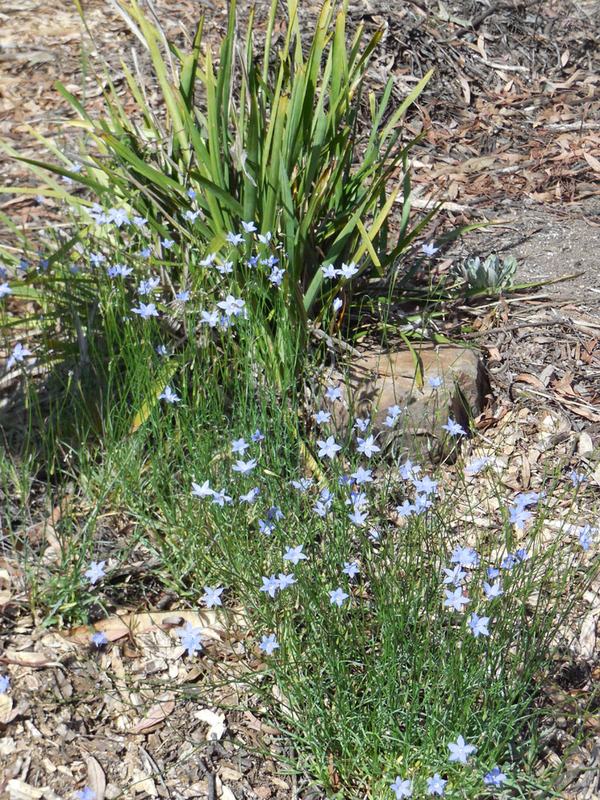 Time to feed the chooks their afternoon scratch and toss the chicks some green weeds to tear apart with their voracious little bills. 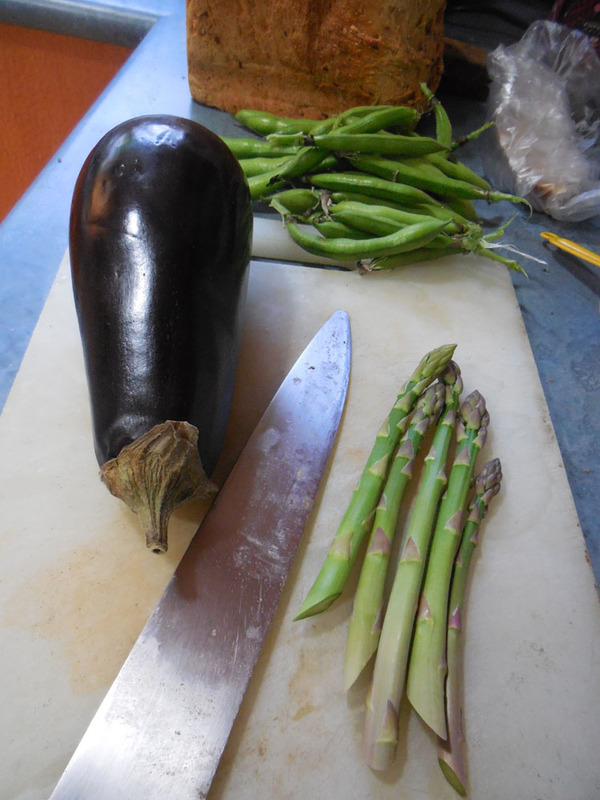 Time too to pick young broadbean pods and asparagus from the garden which are joining an eggplant for a Japanese inspired dinner this evening. Dinner is on the way. Happy spring seed raising to you. The love of ginger is strong in my family. My father loved ginger, my sister loves ginger, I love ginger – ooops where was I? All my ginger eating instincts came to the fore when I read David Lebovitz’s updated recipe for Non-fat Ginger Snaps. Non-fat is good but in this case there is a stack of sugar involved so don’t kid yourself that this is a ‘healthy’ recipe. Just go along for the ride and enjoy that ginger-fueled goodness. Did I mention it’s also full of warming spices and as a special added extra, finely chopped crystallized ginger. The mix is really easy to pull together, simple and without fuss. David’s recipe requires you to chill and then roll individual balls into even more sugar to make seperate biscuits. I did think about it, but luckily I came to my senses. I made this mix into a slice, no chilling, just straight into a lined small slice tray and in the oven for close to 30 minutes. I did take David’s advice and made a lemon icing to go on the top. That was worth the two minutes it took to prepare. 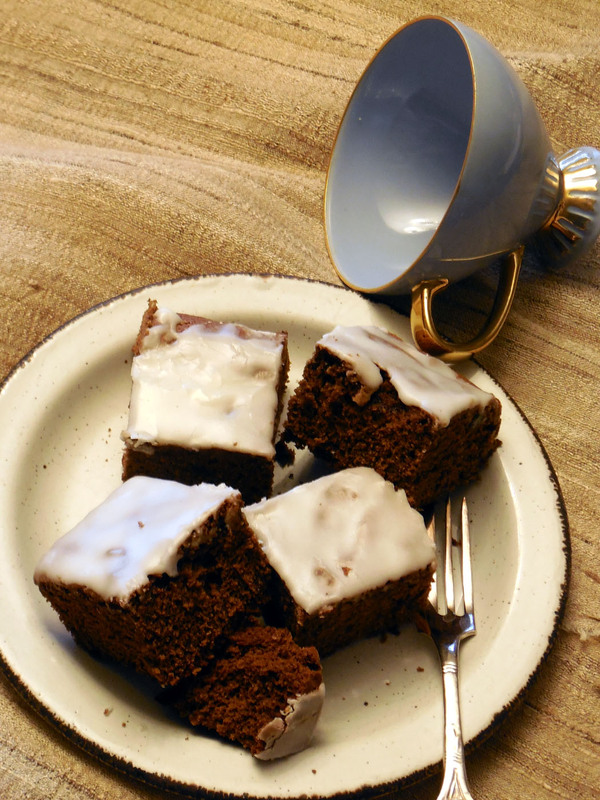 Now in the Australian vernacular this slice could never be described as a Ginger Snap – those rock-hard biscuits of my childhood, reputed to break teeth and the only biscuit in the country that is exempted from the ‘no-dunking’ rule. So David’s Ginger Slice it is from now on. Give it a go. Chickens are everywhere at Chez Fork. 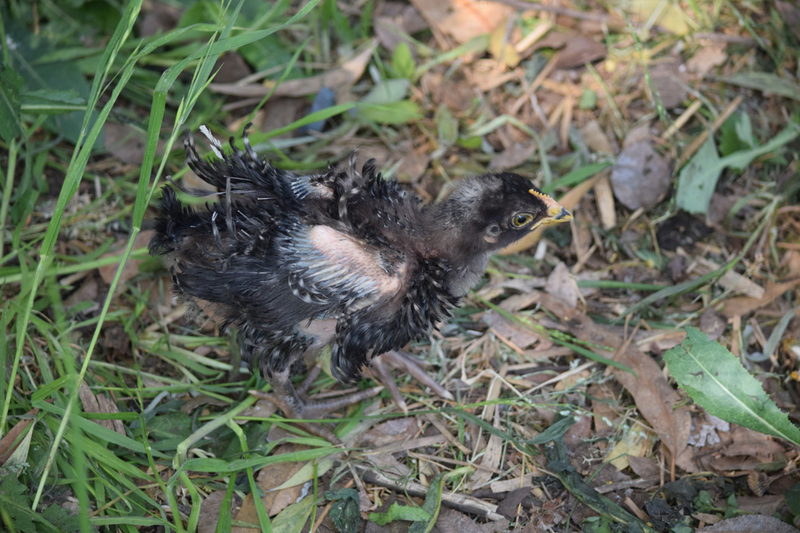 We have just returned from the Hunter Valley with five fairly new chicks (about 5 weeks old) from my sibling’s flock. 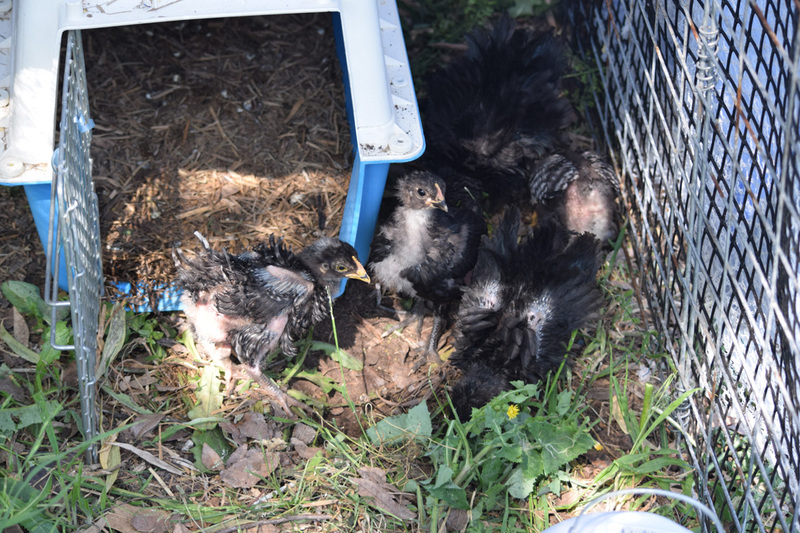 If these chicks look a bit unusual its because they are Frizzles. 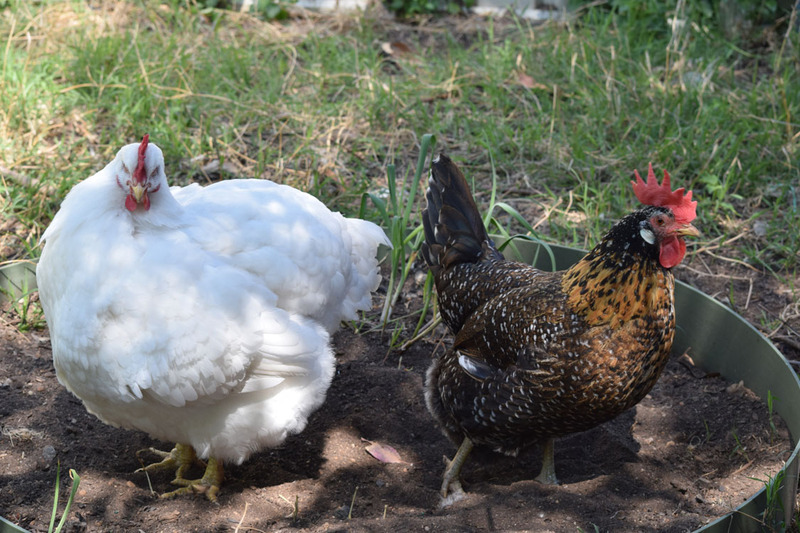 These are chickens with a genetic disposition to have curly feathers. Here’s a close up of one. At present they are living in their own pen away from our other girls, for several reasons. Firstly to avoid any spread of disease from either group. Because until they are a bit bigger the two hens might attack them. Also because they could easily get out of the big girls run and become prey to any many of bird, dog or cat in the vicinity. So for now we’ll watch them grow. And just because I can here are some photos of the other girls. TB had the digital SLR camera out today and took some lovely photos. 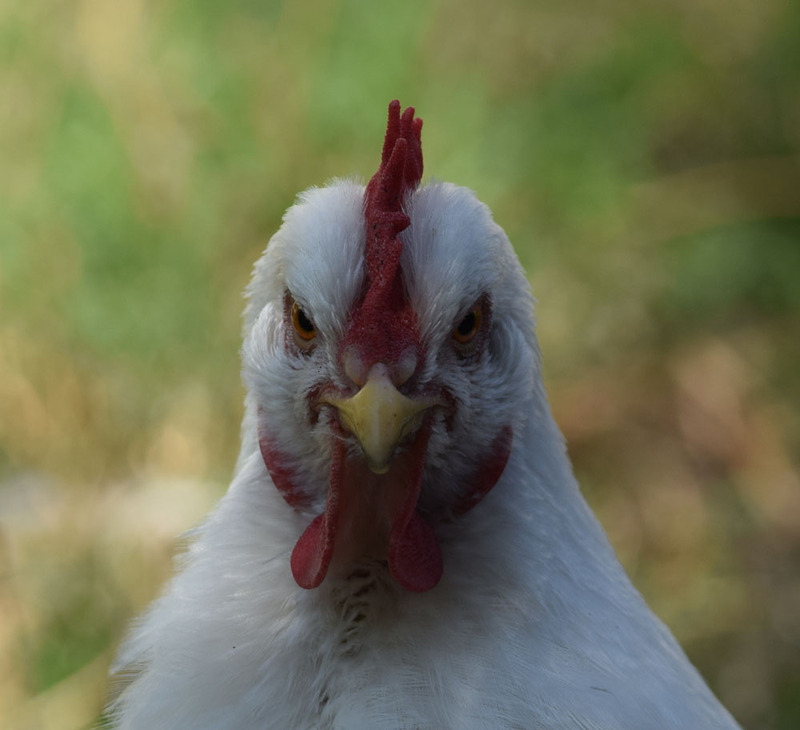 Up close and personal with Letty the White Leghorn. 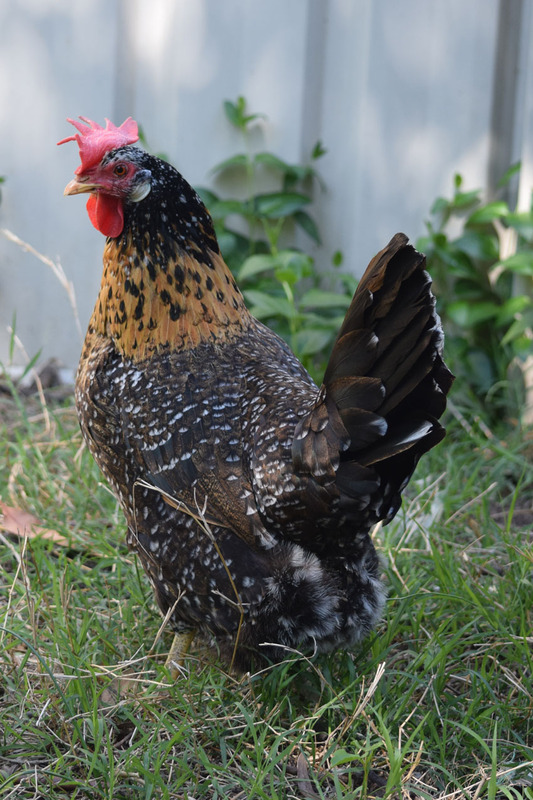 And head of the hen house, Artemesia (Arte), the Ancona. Selfie with snow peas, the first of the year. Straight into tonight’s dinner. 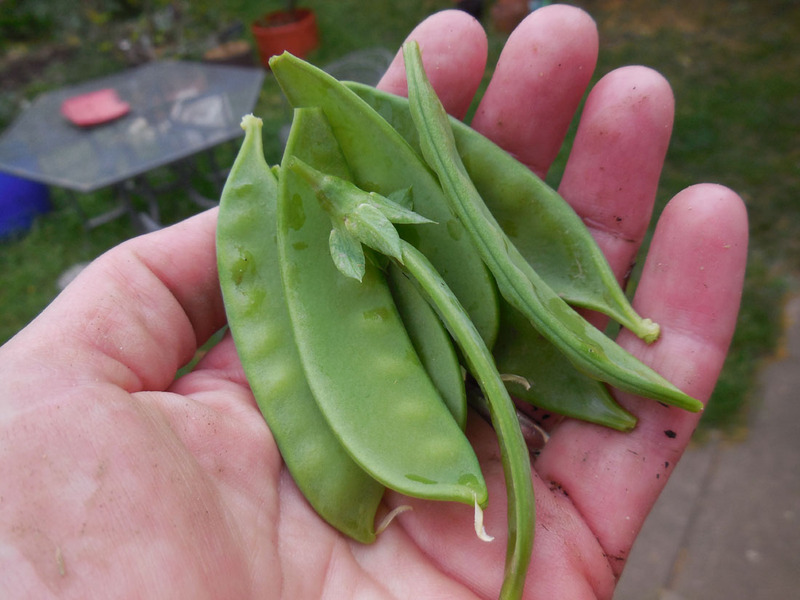 Just remember to keep picking your snowpeas. The more you pick, the more they flower, the longer you get pods to eat. I think that’s a ‘virtuous circle’. And just because I can. Here is a shot of my rose’s leaves last week. They look like they have been beaded with crystals. 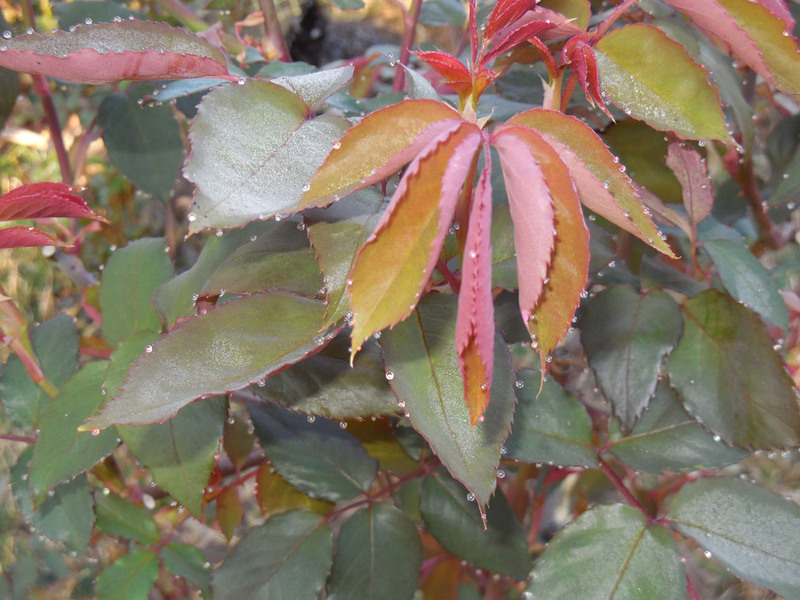 Roses with dew beads – just beautiful.